On your first visit to Rewards Dental, we will take a full health history. On subsequent visits, if your health status has changed, make sure to tell us. Our dental hygienist or Dr. Song offers a complete cleaning which will scrape built-up plaque and tartar below the gumline. 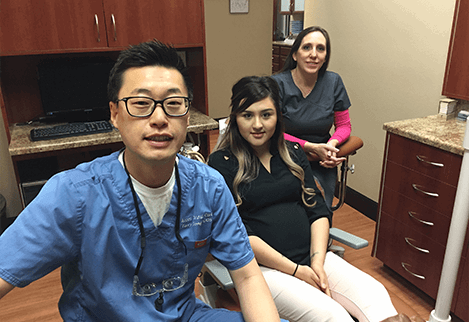 Using the digital exam tool, Dr. Song and his team performs thorough inspection to prevent problems from becoming serious. X-rays finds issues that are not noticed by visual inspection. Damage to the bone or decay between the teeth can be found.